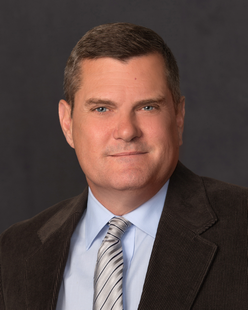 Steve Jennings is a Partner in the Billings Litigation Department. His primary practice areas are workers’ compensation law and insurance defense with an emphasis on title insurance and real estate issues. Mr. Jennings graduated from Ohio State University in 1986. Upon graduation Mr. Jennings was commissioned a 2nd Lieutenant in the United States Marine Corps. After active duty Mr. Jennings attended the University of Montana School of law where he graduated in 2003 with honors. Mr. Jennings has successfully tried and argued several cases before Montana’s federal and state courts as well as the Montana Supreme Court. Such cases included workers’ compensation common fund/class action cases in which Mr. Jennings represented over 65 insurers. As a result of these cases Mr. Jennings’ clients realized substantial savings. Mr. Jennings continues to provide legal advice and trial representation to insurers and individual clients regarding workers’ compensation and property title matters.